1 The Chasms 2' 42"
2 Thorwald's Cross 5' 15"
3 St Michael's Isle 4' 26"
4 Spanish Head 4' 59"
5 The Ayres 4' 49"
6 Mona's Isle 4' 22"
7 The Dhoon 5' 4"
8 The Bee Orchid 3' 11"
9 Chapel Hill 4' 10"
10 The Curraghs 3' 59"
11 The Painted Lady 2' 52"
12 The Peregrine Falcon 2' 40"
The first solo piano album that I can truly say I was happy with. I was pleased with the playing, pleased with the writing and pleased with the way the music depicted the subject matter. The whole package, including the cover and booklet was very pleasing for me. If you like piano music in a 19th century classical style then this is for you. The first and only performance of all the pieces from this collection was at the Isle of Man Museum in Douglas in their theatre where a backdrop of slides was shown throughout the performance. 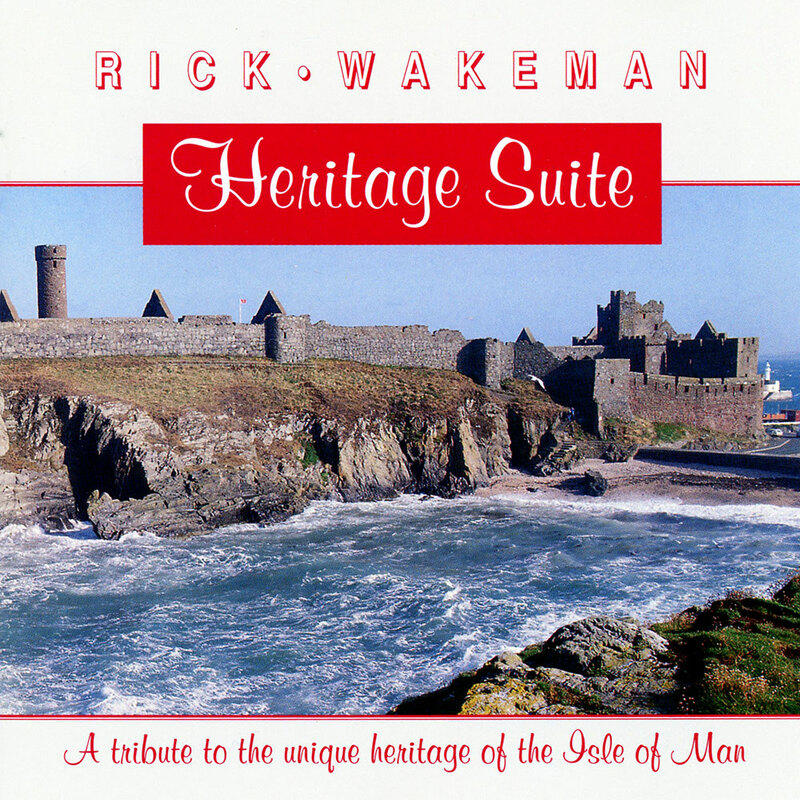 Solo-piano pieces reflecting the historical heritage of Isle of Man. If you like Country Airs you will love this. This is probably the greatest of piano albums I've heard from Rick... I find it better and more varying than Romance of the Victorian age as well as Preludes to a Century... if you're into Rick playing the piano, this album is definitively a must have... I don't think it contains any relatively "weak" parts, as most of Rick's other albums, check it out if you get the opportunity. Just beautiful serene solo piano playing inspired by the obvious natural delights of Britain. Surely this is the antidote for those who are wary of wandering through a minefield of Wakeman’s lesser-known works – particularly for listeners who have had issues with certain vocalists or cheesy-sounding keyboards. In this instance, Rick performs alone on piano, all instrumental, all original works. Rest assured, this is not sleepy music. The tempo is varied. The playing at times beautiful and restrained, other times deft and aggressive – providing the full range one expects to hear on a good Rick Wakeman album. This is an album that should be spoken of in the same breath as Six Wives of Henry VIII, Journey To The Centre of the Earth and Criminal Record – ranking among his best.